Jack Nicklaus had his hip replaced in 1999 with a ceramic joint attached to titanium shaft. This surgery is being seen in more and more of our senior golfers. It is essential that you follow your orthopaedic surgeons orders. But here are a few additional suggestions that can help you returning to pain free golf quickly after surgery. Most golfers are back playing 3-4 months after total hip replacement surgery. With your new hip it’s essential that you are able to maximize your range of motion and strength of the hip stabilizers. Some technique changes can include turning your surgical side foot slightly outward at set up. This reduces stress on the new hip and enhances your turn to that side. Another key component is to maximize your thoracic/trunk rotation, to limit the rotatory stress on the hip during your swing. Use soft spikes when returning to playing to reduce the rotational stress on the hip. Play more on the balls of your feet rather flat footed as this increases the rotational stress on the joint replacement. The key here is to reduce the torsional or rotational stress on the knee. Therefore strengthening the quads/hamstrings/adductors and abductors of the hip are important. Again turning the foot outwards at set up can help reduce the stress on the knee. Also avoid locking the trail knee or fully extending the knee on the backswing is important to limit the stress on the new joint. Another key component after both these surgeries is to regain your proprioception or joint positioning awareness by practicing various balance drills. 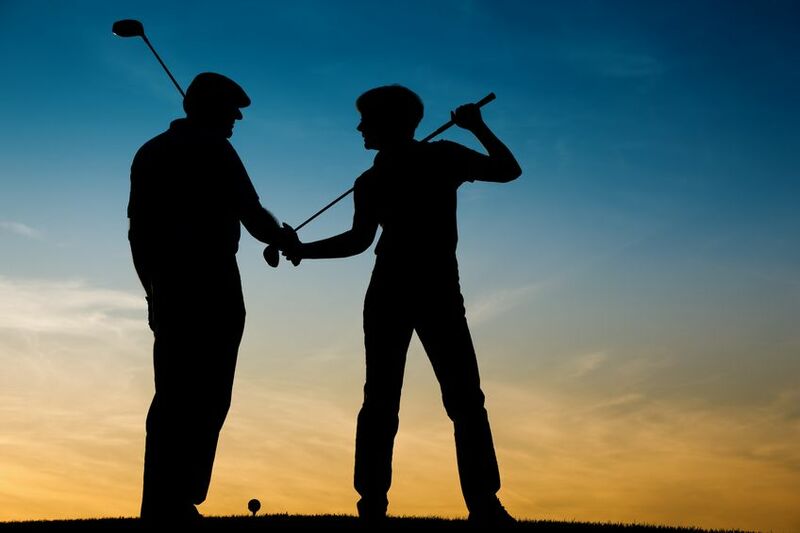 The golfer should gradually return to playing the links by initially concentrating on chipping/putting and later advancing to using longer irons and their driver when symptom free and feeling comfortable with the strength and stability in the joint. Important to note that everyone recovers at a different rate, so don’t compare your progress with your friends.